Class 60s are seen as the heavy hauler of the DB Schenker fleet and are therefore found working the heaviest trains on the network. Typically employed on the RMC stone traffic from Peak Forest, Petroleum traffic on Humberside/Tyneside and South Wales and on steel trains between Wales and the Midlands/Yorkshire. 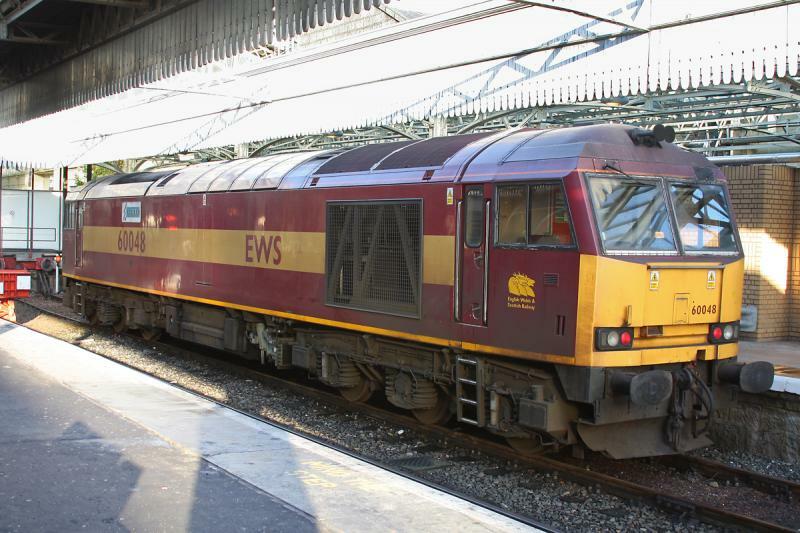 Their versatility means that it is not uncommon for Class 60s to appear on trains booked for Class 66 haulage, and vice versa. Class 60s used to come to Scotland quite regularly working the Dalzell steel train which a Class 66 would struggle on sometimes. During the latter half of 2007, Class 60s have been found in Scotland more frequently. A number were used on the Bathgate double tracking work, G&SW engineering works and the Highland Mainline engineering works. They also found themselves on more regular workings, including the Edinburgh bins and tanks to and from Grangemouth. On Tuesday 20th November, 60100 even made it as far as Huntly (between Aberdeen and Inverness) with a ballast train. The first visit of a 60 on this line and the first to Aberdeen in over a year. Just over a month later on Friday 28th December another cl 60 visitor to Aberdeen was 60048 'Eastern' which arrived in charge of the recently introduced 6A31 05.10 Mossend to Aberdeen Waterloo 'slurry tanks'. Unfortunatly with only one Aberdeen DB Schenker driver passed on 60s, SNOW stand-by loco 37422 had to take over and do the honours onwards to Waterloo. As of 2013, the class 60s have not reached scotland since 2010 (i think), so its unlikely they will return to scotland for quite sometime although the active fleet has reach to at least 20 operational class 60s in england, most of them wearing DB colours. In 2014, Colas rail bought 10 class 60s from DB, all of with are in traffic. 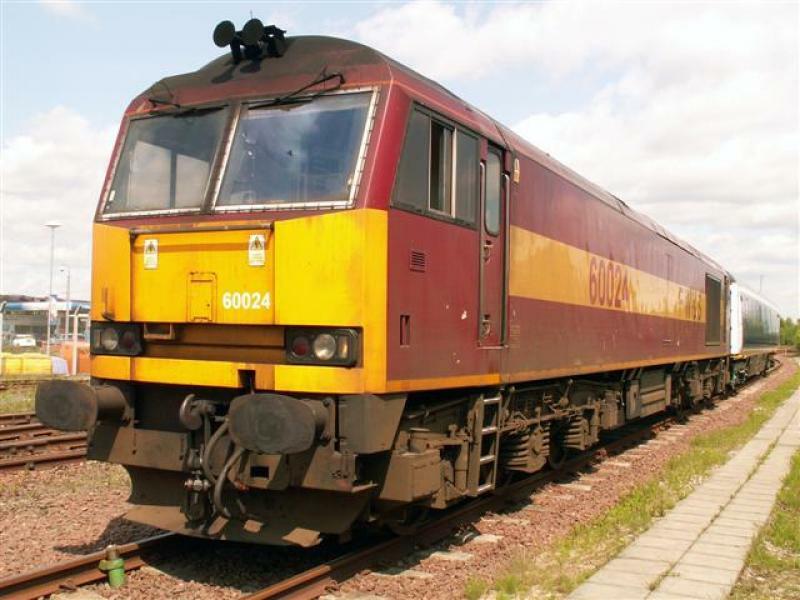 In 2018, GBRF bought Colas rail's fleet of 10 class 60s meaning class 60s no longer operated in Scotland. Colas replaced the 60s with class 70/8s. The Class 60s are the only DB Schenker locomotive class that have escaped full DB Schenker branding. In recent years however some of the old liveried ones have had DB Schenker bodyside stickers put on to show the company name. The table below shows some the Class 60s with liveries other than DB Schenker (included are the stored ones as they might make a reappearance). Those that are operational are in bold. Created by SC318250 and last modified by 37275 at 10:05, 07 of January 2019.